Most organisations recognise that it is imperative to provide staff training, as new technology and equipment are changing the way we work on a regular basis. Work processes are dynamic and undergo revisions to adapt to customers’ requirements, and teams now comprise multinational and multicultural members. Organisations must provide training to their employees to ensure that their skill sets are current and aligned with industry requirements. There are several aspects that need to be considered while establishing a staff training programme so that the organisation and its employees can enjoy rich dividends from such investments. Training incurs direct as well indirect costs. Direct costs include the fees paid to the trainer, hiring the training facilities and training materials. Salaries paid to employees while they are away from the office for training are an indirect cost. The organisation has to track the return on investment for staff training. A gap analysis has to be carried out between the job description of a position and the skill sets the employee possesses versus the skill sets required to perform the job efficiently. Such exercises must be repeated for each employee so that he attends the appropriate training course, thus optimising the value for each dollar invested in training. Employees must commit to serve the organisation for a certain minimum period of time after the training. This ensures that they will focus on utilising the new skills they learned. If an employee is contemplating a job change in the near future, he may decline the training offer if it has an obligation attached, and his place can be allocated to another colleague. Managers in charge of staff training should select the trainers with care. Most training companies or trainers have standard training modules that enable them to maximise their return on investment. Assess whether these standard modules to they meet your organisation’s requirements. 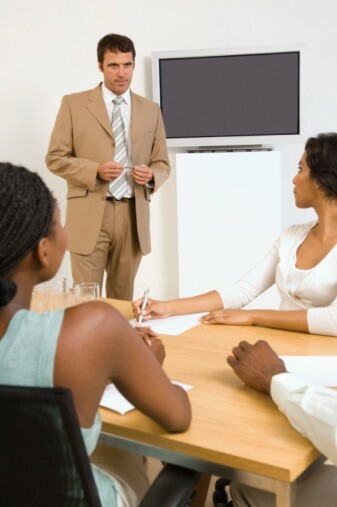 Or ask the trainers to develop customised modules to meet your company’s specific requirements. In selecting trainers or a training company, your guiding principle should be to select whom you need, not whom you like. It is important for the human resource department and senior management to build a culture of learning, which encourages employees to upgrade their knowledge. Most people will ask “what’s in it for me?” Once they understand that learning new skills will benefit them directly, they will “buy into” the training programme. For example, managers can explain to employees that new skills will enhance the quality of their jobs, or help them perform their jobs more efficiently through better time management. This can result in better bonuses, promotion opportunities, job-scope enlargement, empowerment and so on, for everyone. Try to organise training away from the office so that employees on course will not be distracted by their usual work demands. They should be asked to switch off their mobile phones and other electronic devices. Participants should be able to check their e-mail and attend to office matters during breaks. Some organisations prefer that participants sit for a test at the end of the training programme, and only successful candidates will receive certificates of attendance. This is to ensure that participants take the training seriously. The success of a training programme can be measured by the extent to which participants put their newly acquired skills and knowledge to use in their daily work. Managers can conduct a performance appraisal at regular intervals to check if staff members are actively applying what they learned to perform their jobs better. Feedback can then be given to employees to reinforce desired behaviours so that the organisation can benefit from its investment in staff training.